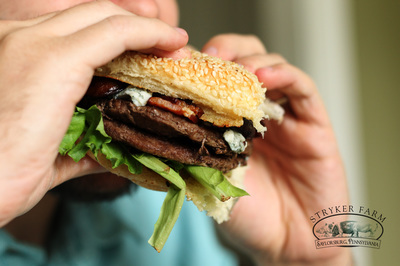 A good burger is built with excellent ingredients from bottom to top. 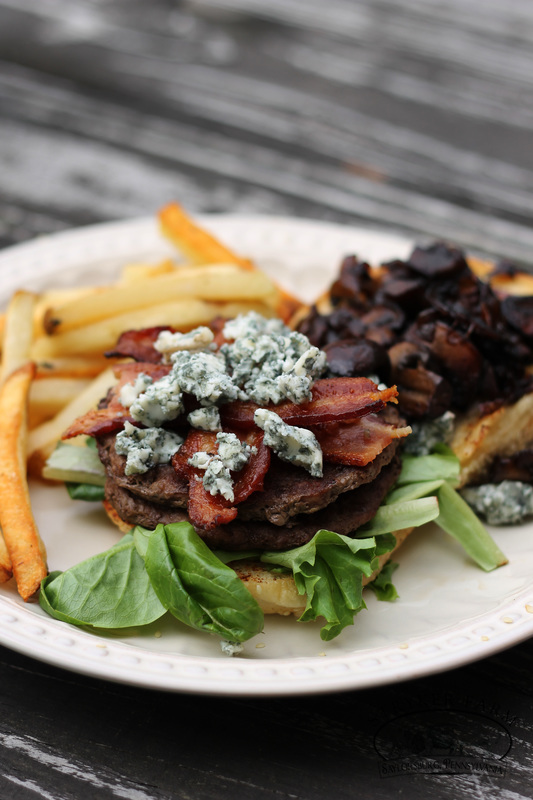 This bacon blue cheese burger is a classic marriage of flavors. 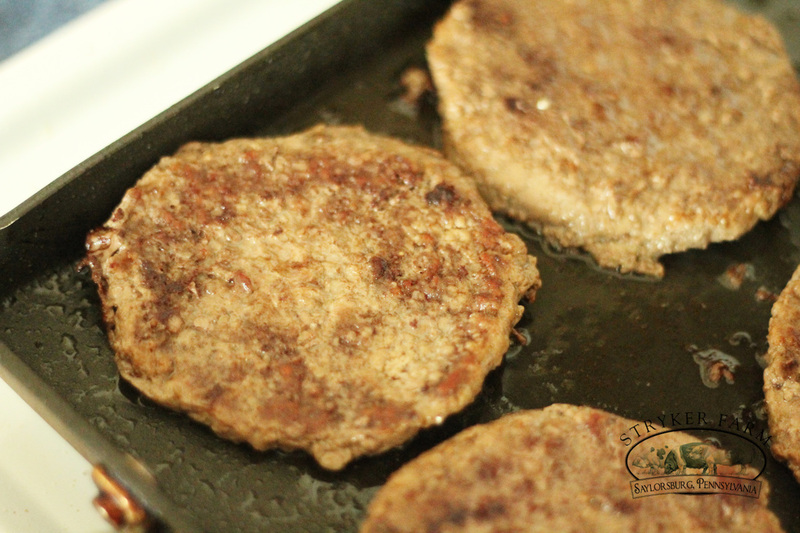 These pre-made beef patties are the perfect size to throw on the grill. 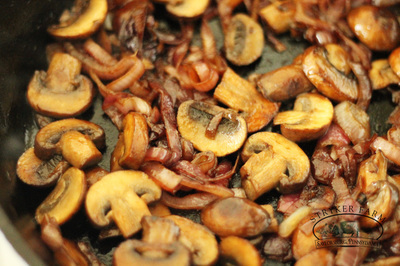 Slice mushrooms and onions. Add them to a large skillet with a douse of olive oil. Cook them over a medium flame. Stir them occasionally allowing them to brown slowly. This is the most tedious part, but well-worth the trouble! 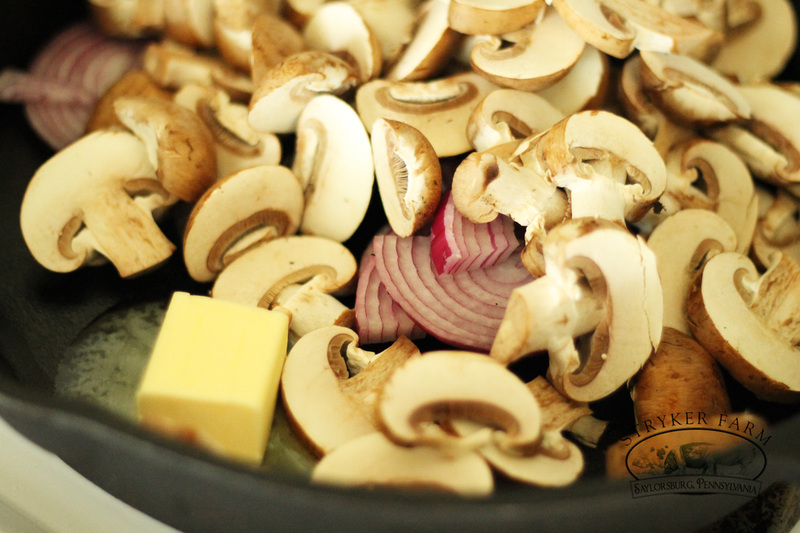 Add some salt and pepper, and keep cooking them down for at least a half hour. Add some butter. Cook down for 15 more minutes. At this point you could deglaze them with a splash of bourbon. 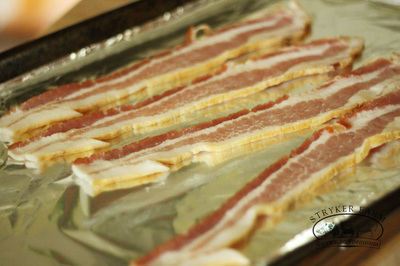 In the meantime cook the bacon in the oven. This achieves flat, uniformly cooked bacon - perfect for burger toppings. 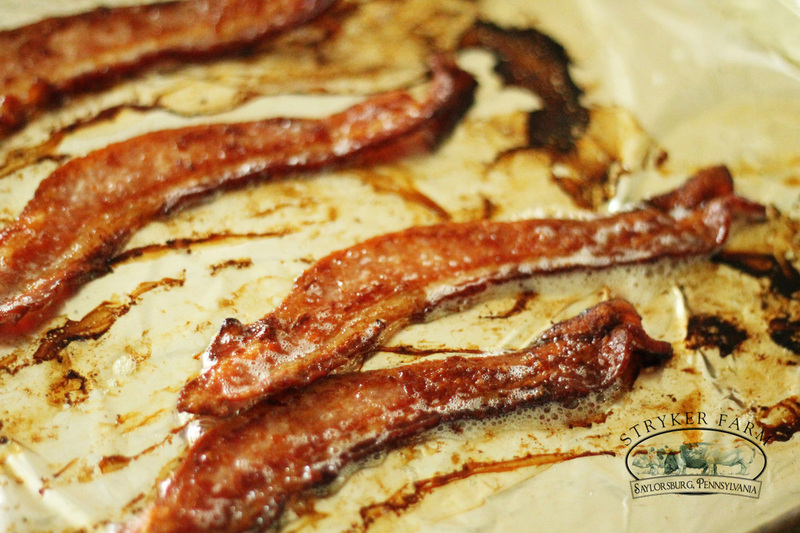 Place bacon on a baking sheet in a preheated oven at 400 F. Bake for 10 minutes, flip, and bake for 10 minutes on the other side. While the toppings are cooking, grill your burgers. In this case, I grilled them on a griddle on the stove top. 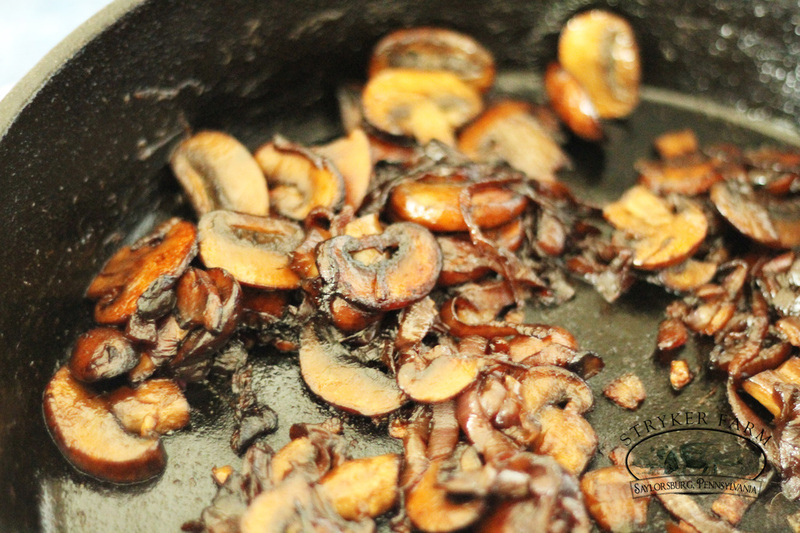 This ensures maximum meat caramelization called the Maillard reaction. Assemble the burgers and top with a mound of crumbled blue cheese, I used a bitey Gorgonzola. 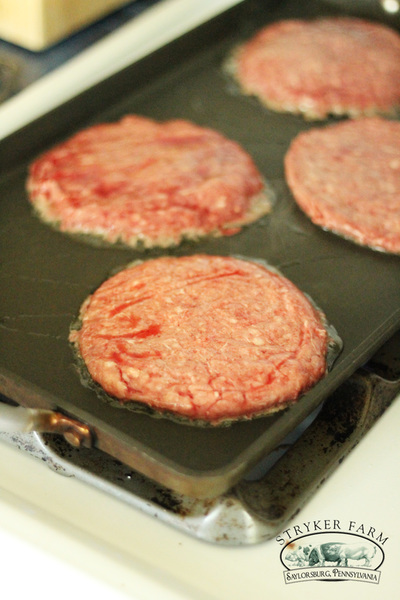 You could serve these with one patty per burger, OR get crazy and double up! Serve with french fries and a cold beer.